Many brands of e-liquid attempt a cereal flavour. None do it quite like the Binary Byte E-Liquid, combining two different cereals together with milk for a sweet flavour that just works! Months of research and development have led to this flavour being a unique blend to be enjoyed by all, not just at breakfast time. 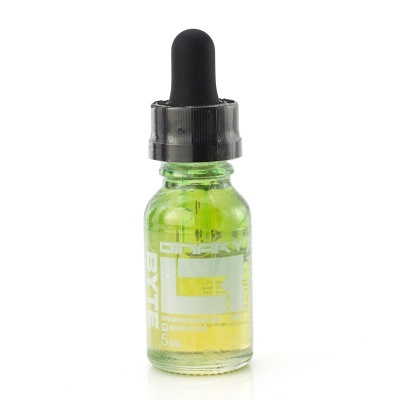 Binary are a Californian company who pride themselves on their blends of fruity flavours and sweet and sour blends that stop the e-liquids from ever getting old. 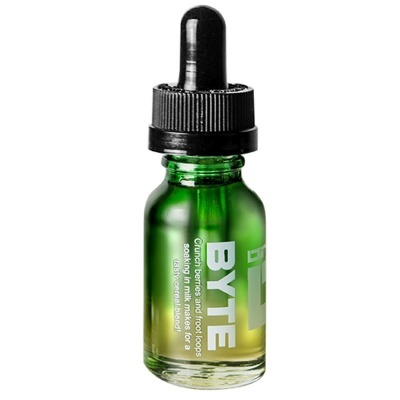 Byte E-Juice is available in 15ml bottles and five unique strengths for your personal preference. Each bottle has a child-proof applicator. Byte is breakfast like you've never had it before. A combination of crunchy berry cereal, fruit circle cereal and milk makes up the flavour, carefully layered for a complex and delicious vaping sensation. Crunchy berry hits you on the inhale while the fruit circle makes itself known on the exhale. The unusual VG level makes this a unique blend with a sweet taste.